Rare aromatic complexity with intense tannin structure and robust acidity. An excellent pair for red meat and game. The vineyards used for Ramnista have an overall southeast exposure at an altitude of 280-330 m. The estate is divided into a mosaic of 30 vineyard blocks of different mesoclimates with varying exposure, orientation, slope, soil type, rootstock, vine density and age, demanding tailor-made viticultural practices for each vineyard block. Rainfall is abundant during the winter months, but summers are so dry that regulated drip irrigation is applied to prevent water stress. Vine density ranges from 3,500 to 4,000 per hectare and the average crop yield is maintained below 2.5 kg per vine. About 5% of the estate is planted with various rare indigenous and international varieties for experimental purposes. 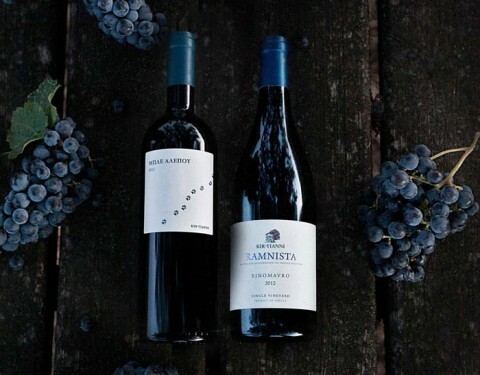 For “Ramnista” we use grapes mostly from the vineyard blocks in the lower pH range and with lighter soil types to maximize the aromatic intensity and complexity. Moreover most of these blocks are closest to the nearby forest, where the more humid mesoclimate leads to a more tempered ripening pace. The grapes are handpicked and sorted on a conveyor belt before crush. After a six–day pre-fermentation cold soak at 8-10° C, the must undergoes a 12-15 day vinification at controlled temperatures. Fermentation temperature does not exceed 25°C. Roughly one third of the wine ferments in open-top tanks with pigeage. The final blend is made five months after harvest and the last racking takes place about six months later. We use both French and American oak, new oak up to 25%, and about 25% 500-lt casks. We filter very lightly. The bouquet is quiet at first blush, but five spice and white pepper change the game just as you are about to move onto a perfectly balanced palate, its fine-boned structure formed and trained by fine tannins. The flavours refuse to be pigeon-holed, with notes of herb, earth and cedary oak. Modern, polished and sophisticated character of bright, tangy fruit with dry, firm tannins. Endowed with hidden depth and power on the long, elegant finish. This was a tricky vintage, with some summer heat spikes and rain at the end of harvest, but it didn’t seem to affect Ramnista negatively. 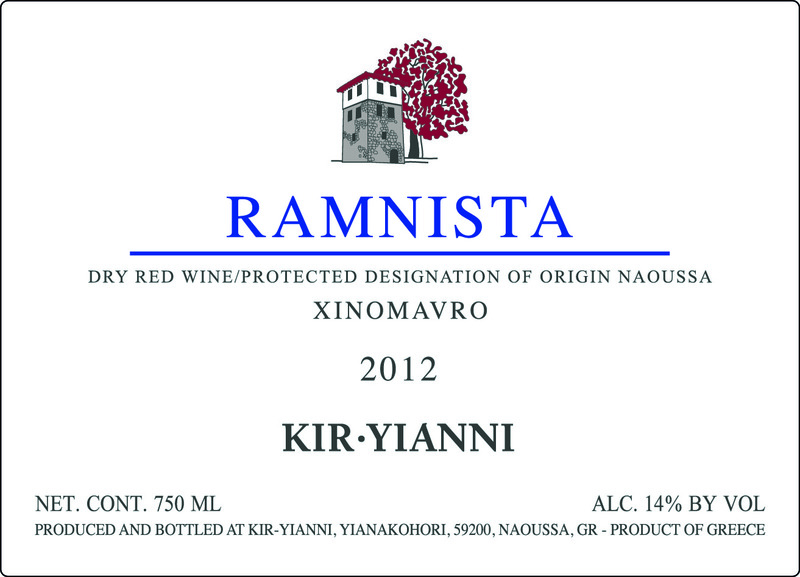 Pulled from vineyards planted on lighter soils, the intention being to produce a Xinomavro with finesse and fragrance rather than brawn, Ramnista in 2010 is a beauty, redolent of cherry blossoms and tobacco leaves, mushrooms and herbs, the aromas held together by juicy, frisky cranberry flavors. It’s tangy and bright as well as firm and lasting, the flavors pinned to a cool, earthy minerality that holds them fresh and long. Stellios Boutari notes that the Xinomavro is Kir-Yianni’s “signature grape” and that it is similar in some ways to the Italian Nebbiolo variety due to its tannin/acid structure. Indeed, this sample showed ripe, sweet black cherry compote, kirsch, black olive, red liquorice and a touch of violet on the nose. Dry with dusty plum, some smoky overtones and a hint of leather, it is still quite young with high tannin and acidity. A bit rough on its own but an absolutely perfect match with Estiatorio Volos’ Lamb Sausage with Wild Mushroom and Thyme Jus. Vinexpo 2012, 100% Xinomavro Bright ruby red of medium intensity. Aromas of dark prune and chocolate. Dry wine with good acidity and full body; dark prune flavor with powerful tannin. Good finish. Well balanced with high-toned aromas of menthol, herbs and flowers and firm tannins. More of a modern interpretation [of Xinomavro], with a little more oak, a little more fruit, and a little less of the tomato/herbal thing. But the freshness is there, the tannins as well. Great introduction to the grape. Serve at 18C. Drink now-2016. Food pairing ideas: Lamb with herbs and mustard. Belle fraîcheur avec des notes d’olives et de tomates sur des saveurs fruitées un peu sauvages. Expression bien arrimée de ce cépage, tanins longs et puissants. You’ve waited this long for the weekend to come, you can wait another hour in the decanter for this beauty to open up and reveal its colours. Heady enough to please the critic in your life but unpretentious enough to be appreciated by a wide audience, this Greek red aims to please. This adventurous choice pairs well with stewed beef, and is thus an excellent choice for a chilly February night. Medium full-bodied and Barolo-like, this xinomavro-based red serves up flavours of dried cherry, tar and flowers against a backdrop of pipe tobacco and herbs. The dry, tea-like tannins are nicely counterbalanced by mouth-watering acidity. Pair it now with braised red meats, though it could improve with up to five years in the cellar. 2008 Kir Yianni Estate – Ramnista, Naoussa, Northern Greece, A savoury Xinomavro style with game and leather notes. Great expression of what an indigenous variety can offer, with fascinating flavours lurking in the background. Well made and well balanced wine. 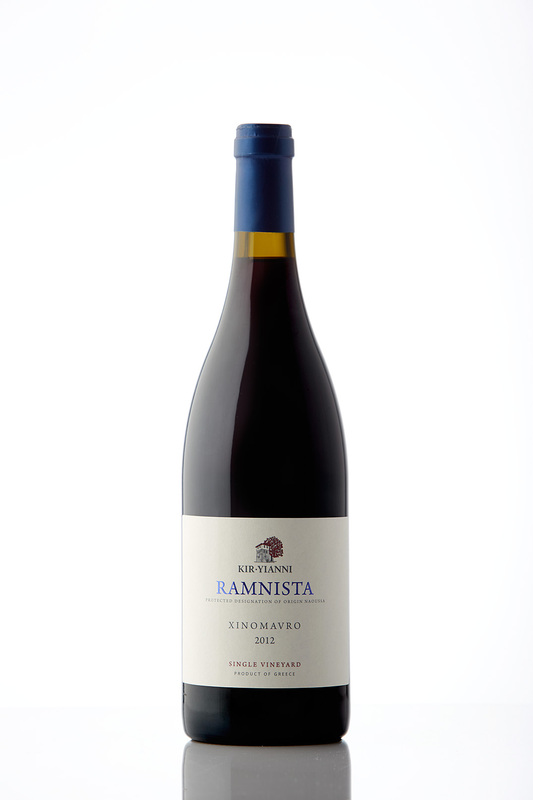 The 2007 RAMNISTA is a first look, pre-release, based on a winery tasting only. This is beautifully textured, soft and velvety, ripe and surprisingly rich early on. Lurking underneath is still that Xinomavro crispness and power. It is always best to see how these work after they’ve knit together in the bottle and then had some hours of air, so we will have to give this another look. Still, this looks like a very promising Ramnista, perhaps the best I’ve tasted. Drink-2012-2027. Le 2007 Ramnista Kir Yianni Naoussa à base de xinomavro est un grand vin rouge du pays. Son bouquet est généreux et complexe. Un vin précis, juteux, qui a besoin d’une heure de carafe. La finale est longue et généreuse: 20,15 $. Recht tiefer Duft nach teils eingekochten roten und schwarzen Beeren mit gewürzigen, kräuterigen und etwas holzigen Tönen sowie einer Spur Kandis. Geschliffen, dabei aber recht saftig im Mund, etwas gewürzig und mit eher moderaten Holztönen, sehr feine, präsente, originäre Tannine, nachhaltig und kraftvoll am Gaumen, straffer Bau, gute Nachhaltigkeit und Tiefe, sehr guter Abgang. Bis 2017+. Dark and rich fruitcake curranty with a peaty whiff about it. Really deep. Smells of brick dust and ash. Super-pure fruit in the mouth with cedary spiciness and coffee ground smokiness at the back. Big tannins and mouth-watering acid and lip-smacking tangy citrus, too. You’ll love this if you enjoy serious sangiovese and nebbiolo. This is the wine for charcoal-grilled or roasted lamb. Αρκετά βαθύ ερυθρό, με κεραμιδί ανταύγειες. Πλούσιο άρωμα από κονφί ντομάτας, ελιάς και φράουλας, σε φόντο βαρελιού, κανέλας και ζαμπόν. Στόμα γεμάτο, με εξαιρετική συμπύκνωση. Ισχυρές, πολύ νόστιμες τανίνες που το μουδιάζουν ευχάριστα, αλλά και αισθητή οξύτητα, όσο χρειάζεται για να αναδεικνύεται η ποικιλία. Σκούρο κόκκινο με μεγάλο βάθος, πρωτόγνωρο για τη Νάουσα. Αρώματα πυκνά και σύνθετα από άφθονο κόκκινο φρούτο, φραγκοστάφυλο, καμένη καραμέλα γάλακτος, νότες ζαμπόν και βοτανικές, που έρχονται σε συμφωνία με το βάθος του χρώματος. Στόμα πολύ πλούσιο και στιβαρό, χάρη στις καλά ενσωματωμένες τανίνες του, σε ένα αβανταδόρικο σύνολο που δείχνει και μια άλλη διάσταση του Ξινόμαυρου. Μεσαίου βάθους με κεραμιδί αποχρώσεις. Αρώματα απο γλυκό ντοματάκι, λιγότερο φρούτο φραγκοστάφυλου, σε ένα ζωικό φόντο ζαμπόν και με γαλακτική παρουσία. Στόμα που “μπαίνει” γλυκά, με ικανοποιητικό όγκο και ενδιαφέρουσες αλλά αυστηρές προς το τέλος ταννίνες. The medium to dark ruby-colored 2000 Ramnista bursts from the glass with loads of blackberries, cassis, and road tar. An excellent value, this medium to full-bodied effort is a muscular wine packed with dark, asphalt-laced fruits. Its character displays outstanding depth and concentration as well as a long, tannin-studded finish. 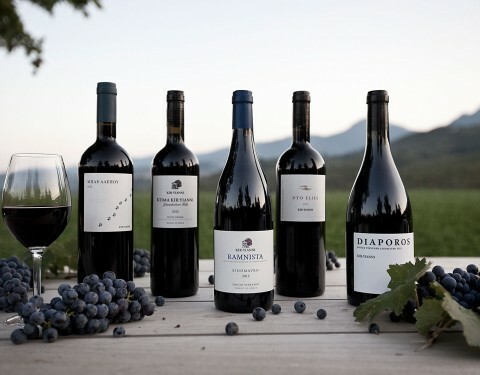 Produced entirely from Xinomavro, this would be an ideal pairing with Greek lamb dishes. Drink it between 2006 and 2012. Brick red, with herbs, thyme, cinnamon, tomato and black olive on the nose surrounding a cherry core. Less complex on the palate, smooth and generous but with feisty grip of acidity, firm tannin, and raspberry-olive fruit. Drink this now or wait 2 years, though it will last up to 10. Είναι η Ράμνιστα το καλύτερο Ξινόμαυρο της Ελλάδος; Όταν δοκιμάζεις μία παλιά φιάλη, όπως αυτή του 2000, η απάντηση είναι «ναι»! Πόσο όμορφα έχει παλαιώσει αυτό το εξαιρετικό κρασί! Το χρώμα του μέτριας έντασης, ώριμο, κοκκινοκεραμιδί. Η μύτη του πανδαισία, γεμάτη από πολύπλοκα και μεστά αρώματα καφέ, γλυκών μπαχαρικών, πιπεριού, δέρματος, χόρτων, που μορφώνουν ένα αριστοκρατικό σύνολο που θυμίζει παλαιωμένο Barolo. Γευστικά ξεπροβάλλει ο πλούτος, το στιβαρό σώμα, οι αισθητές αλλά λιωμένες για τα δεδομένα της ποικιλίας τανίνες και η ισορροπημένη οξύτητα. Ένα ιδιαίτερο κρασί για ιδιαίτερα και απαιτητικά γούστα. Θέλει κόκκινο κρέας, κυνήγι ή σκληρά και πολύ ώριμα τυριά. This light, garnet wine had varietally correct aromas of stewed tomatoes, mint and dried fruits. Tasters described pungent flavors of dried tomatoes, olives and cigar box with somewhat overwhelming tannins. It had a medium body and a hot, drying finish. Η Νάουσα, που έδωσε νέο νόημα στη λέξη Ξινόμαυρο. Ώριμη φράουλα, ελιά, κάπνα απο το βαρέλι και σοκολάτα, είναι τα αρώματα που ξεχειλίζουν απο το ποτήρι. Μέτριο σώμα και πολύ στιβαρές τανίνες, αν και η απουσία πολύ πλούσιου φρούτου μάλλον αποκλείει μια μακρόχρονη παλαίωση. One whiff and the head begins to spin, so intoxicating are the spice and warm cherry scents emanating from this gorgeous xinomavro. Those scents read on the palate, covering it like a cashmere blanket, warm, soft and weightless all at once. There’s a tang that keeps its dense, cherry-jam concentration lively, but not so much that it loses its elegant grace. Drink it now to be impressed, give it another five to ten years to be astounded. Vornehmer Holz-Akzent (Sandelholz), krauterige Frucht. Feiner Stoff, proportionierter Bau, saftiger Extrakt, aromatischer Abgang. Stilvoller Xinomavro. Αρκετά σκούρο κόκκινο χρώμα. Στη μύτη, βαθύ, πολύπλοκο, αρωματικό δυναμικό, με μυρωδιές πιπεριού, κανέλας, καφέ και της κλασικής για τη “Νάουσα” ντομάτας. Στο στόμα ξεκινάει με γλύκα που δεν καταφέρνει να κρύψει εντελώς το νευρώδες της οξύτητάς του. Πλούσιο, με ισχυρές και λίγο “άγριες” ταννίνες, που όμως είναι ζουμερές και καθόλου στεγνές, δείχνοντας ότι το κρασί έχει ακόμη μέλλον. Προέρχεται από σωστά ωριμασμένα σταφύλια, κάτι που εκτός από τα πολύπλοκα αρώματα της “μύτης”, του δίνει εξαιρετική δομή και πλούτο στο στόμα.